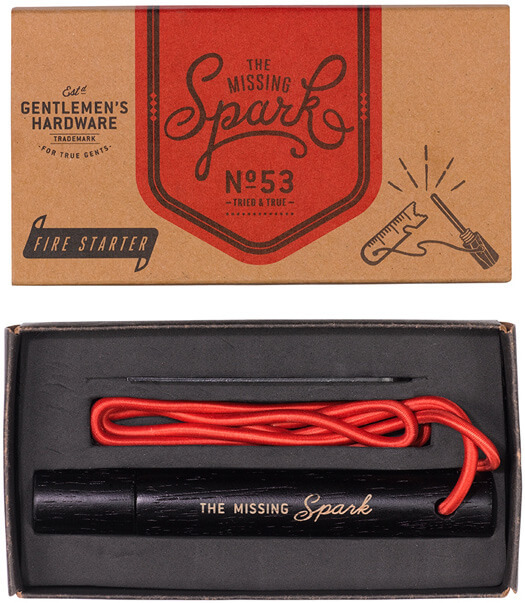 Need to get things burning? 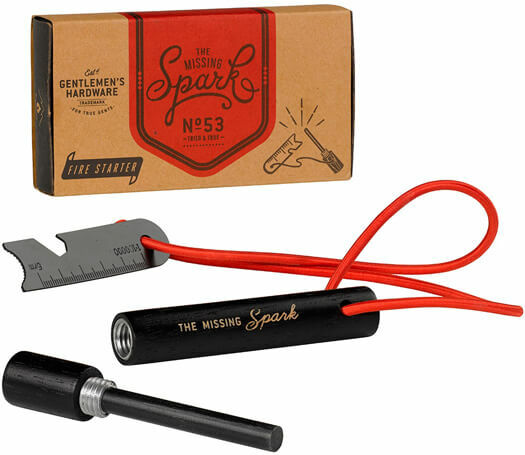 Gentlemen's Hardware makes things easier with their glorious firestarter gadget – a safe and simple tool that creates a spark to start your fire when camping or out in the wild. 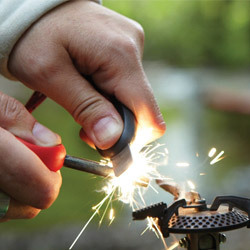 Damp matches and empty lighters are no match for our awesome all weather fire starter.